A photograph of the third prototype of the HAL HPT-32, showing new features. The third prototype of the HAL HPT-32, showing new features. 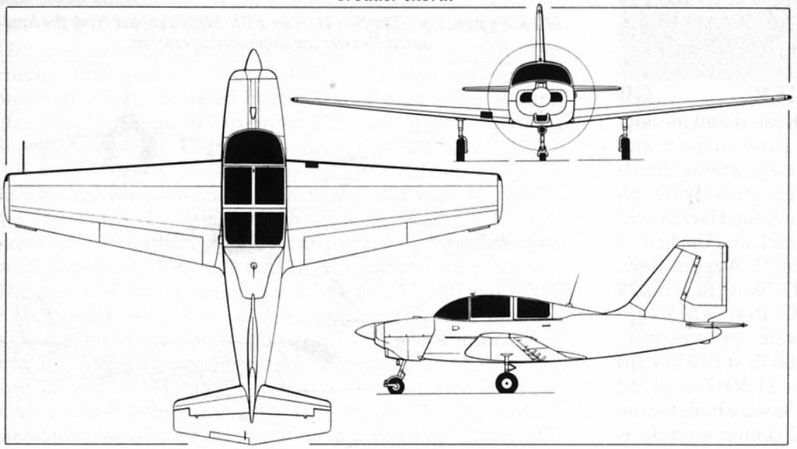 Depicted in the three-view, these include a lowered top cabin line and redesigned fin and rudder of broader chord. 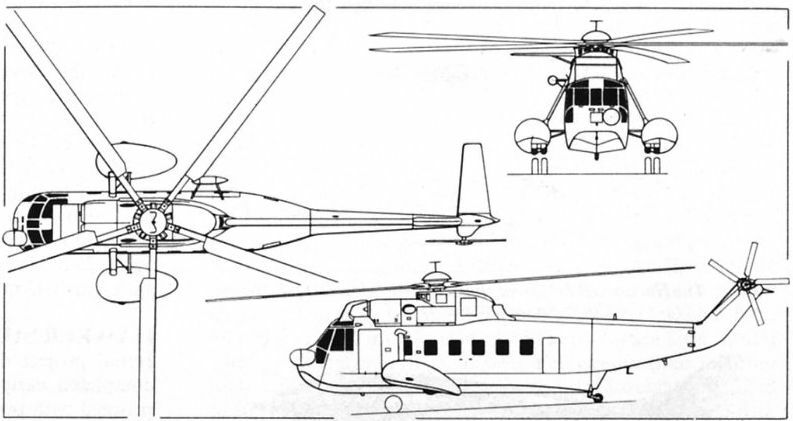 A three-view drawing of the Agusta AS-61N1, the new version of the S-61 that is being put back into production in Italy. 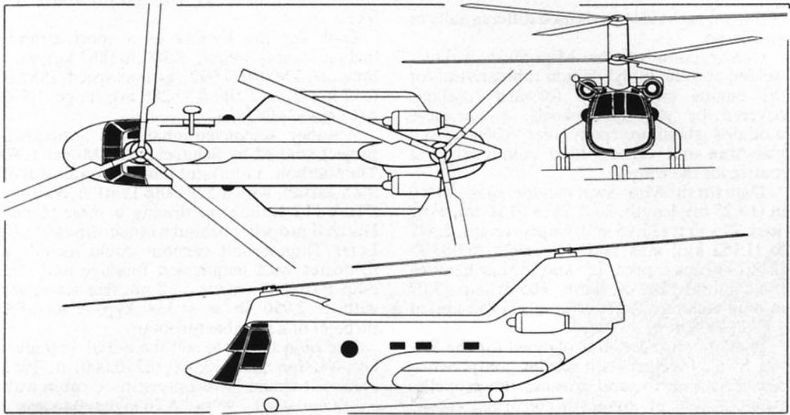 Whereas the US-built S-61L and S-61N commercial helicopters had a longer fuselage than the basic military model, the AS-61N1 is using the short fuselage - the difference being 50 in (1,27 m) - combined with the larger sponsons of the S-61N. Max weight will be 21.000 lb (9526 kg), and reduced empty weight will provide a 15 per cent increase in payload/range. Agusta plans to fly the first AS-61N1 in the third quarter of 1983, and may adopt the General Electric CT7 to power later versions. An impression of the Boeing 737-300, the new features of which are a lengthened fuselage and more powerful engines. 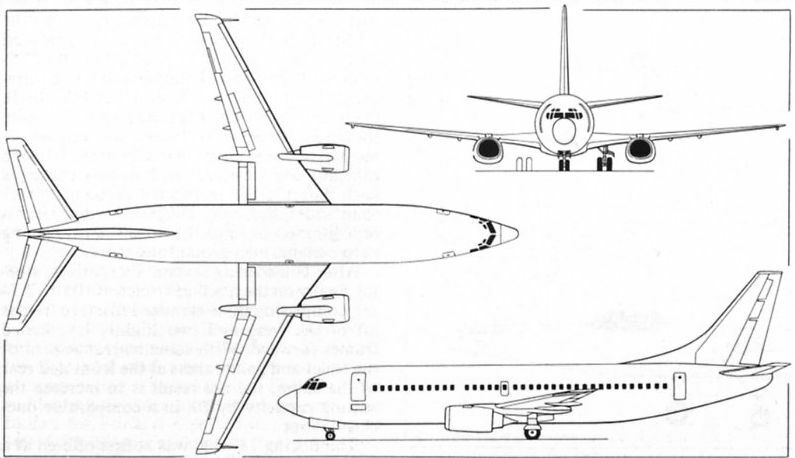 Three-view drawing of the Boeing 737-300, which is scheduled to make its first flight in March 1984. Twenty are on order, with 30 on option. 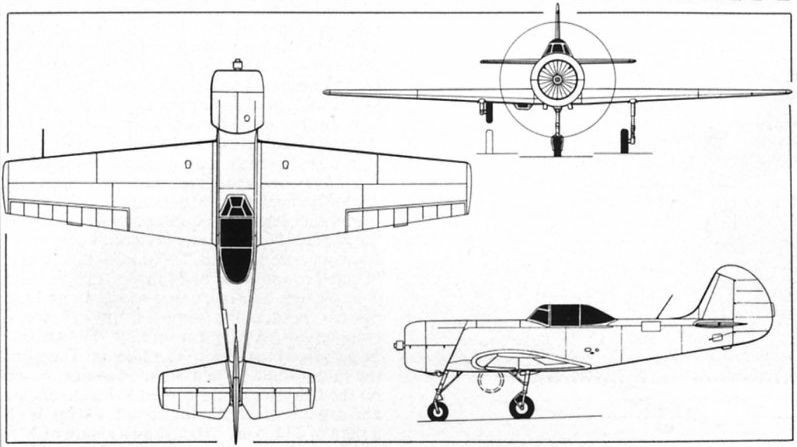 Three-view drawing of the SA-981 Swat, one of the several projects at present under study by the Schapel company. This is intended for use in the light attack role, carrying bombs or rockets and machine guns.